Twitter becomes most popular choice to connect with peoples right after Facebook. It has grown up to very large community and most of us have been using it everyday. Today I’ll show you an easy way to recover Twitter account password saved inside not only Firefox but also from Google Chrome, Opera, Apple Safari and Internet Explorer. Most of us will be using the remember me option during logging in Twitter and other websites. This saves the username, password and required email address to login afterwards automatically filling those fields. While this features is useful, this could make havoc in some situations. Password saved inside browsers is open to all people accessing your computer. This means anyone can log in your account without your intervention. Password Recovery Bundle is a complete all-in-one password recovery toolkit which can recover Twitter account password saved inside web browser. 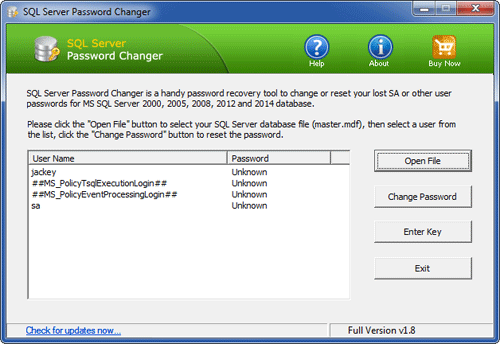 While it would be unethical to access and uncover other peoples password, and this application does this without any hassle, this password recovery software could to put to good job to test security. Yes, Password Recovery Bundle is a good application to check if your own twitter password is saved inside any browser. Even saved by mistake, it would make wired results if it falls in wrong hands. And this software will uncover password saved in any browser so you can easily clear its history to erase username and password. Under the drop-down menu, you can find the password recovery options for IE, Firefox, Opera, Chrome and Safari. For example, if you want to recover Twitter passwords saved in Firefox, you can select the Firefox Password option. Once you have chosen the recovery option, your Twitter username/email and password will be recovered immediately. 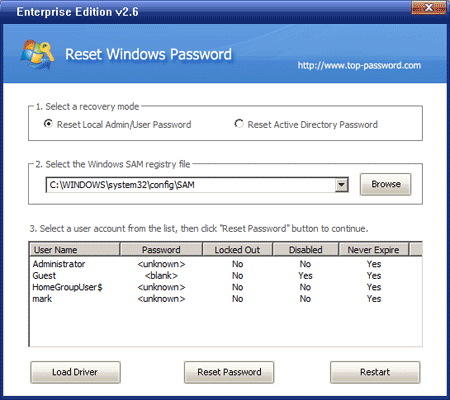 Apart form recovering Twitter password saved in all of those browsers, Password Recovery Bundle can also reset lost or forgotten Windows login password on Windows 8/7/Vista/XP and Windows Server 2008/2003/2000, even if you forgot Windows password and can’t log on to your computer. TrueCrypt is one of the best and Encryption utility used by thousands. It offers good level of security. 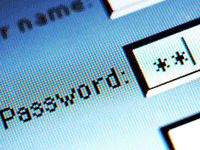 It is almost impossible to Brute Force its password without killer processing power. The situation can’t be imagined where you locked most important documents and forgot the password. If you are not able to guess it no way it can be recovered back. You will need to say good bye to all data. Of course you need to use strong which is difficult to guess, which also makes it difficult to remember. 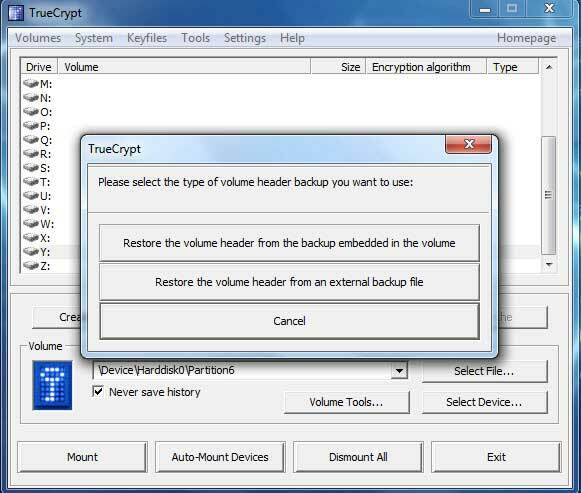 The best way to be prepared for this type of situation is to make backup of TrueCrypt volume header, which can reset the password if you ever forgot. TrueCrypt is the best utility to encrypt.But what if you can’t remember lot of passwords. Then just backup header of the volume, and your data is secured even from your own mind. There is also a case like someone forgot main password and went to restore header, but also forgot its password. So first use easy to remember password and take header backup. Go to Tools and select Backup Volume Header. Save the backup into safe location. 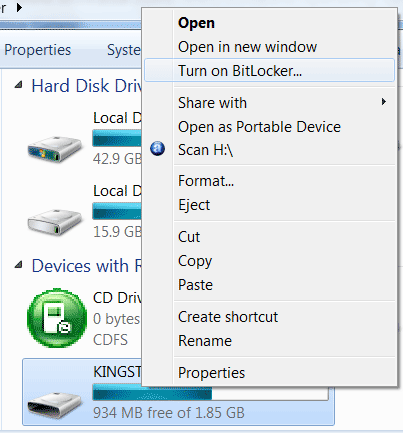 Avoid to store into same computer, try to store in any offsite location. Then change the password to a very difficult and powerful one. Don’t be under impression that the data is 100% safe. If someone gets access to header file with its password, he can compromise it. 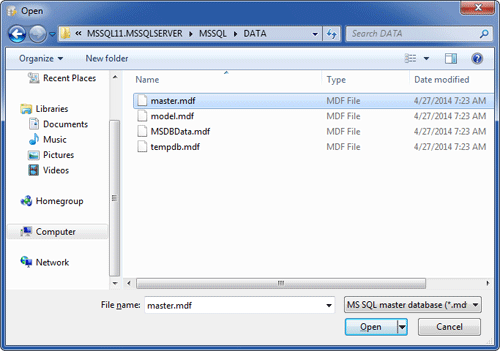 Change the name of file in such a way that it’s impossible to identify it as header file. I am running Windows XP Pro and I forgot the administrator password. Is there a program or something that can help me bypass Windows XP password? I have very important data in that computer. Whether you’re a beginning computer user or someone with experience using Windows XP system, there is still a chance to forgot Windows XP password and end up having to reinstall the whole operating system. Actually, the most efficient way is to bypass Windows XP password. 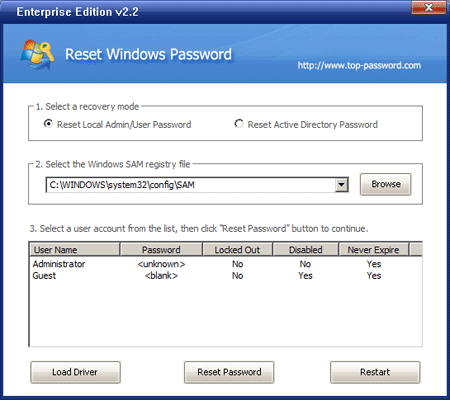 Here I’ll show you how to easily bypass Windows XP password with Password Recovery Bundle. Before the work, prepare a blank CD/DVD. Then install and run Password Recovery Bundle on another accessible computer. 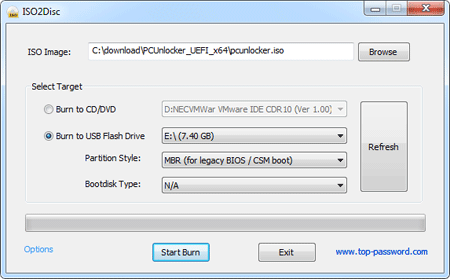 Click Windows Password button to bring up the CD recording dialog, then burn the default ISO image onto your CD. The CD is the Windows password reset CD we’ll later use to bypass Windows password. Restart the computer, it will start to boot from the CD. After a while, your computer will launch the Reset Windows Password program. The software automatically detects your Windows XP SAM registry hive and show a list of user accounts existing in your Windows XP system. Now you’ve bypassed Windows XP password and you’ll be able to log on your computer with a blank password. 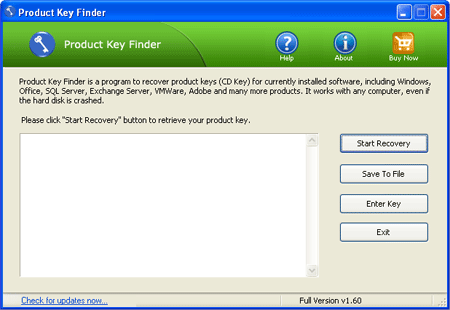 Apart from Windows XP, Password Recovery Bundle can also help you bypass Windows 8/7/Vista passwords with ease. No need to reinstall Windows if you forgot Windows password next time.